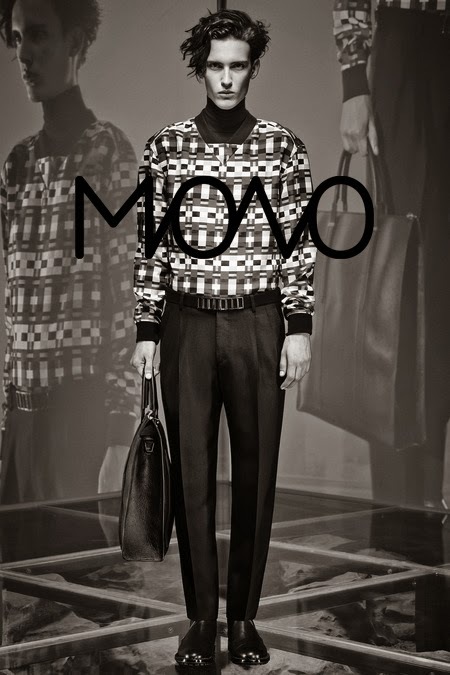 A look book has been put together showcasing a preview of the MONO MAN line. The same principles and interactive elements remain in place, and will be printed and bound with japanese stab-stitching, remaining the same as the womenswear look book. This also adds continuity to the branding and design. 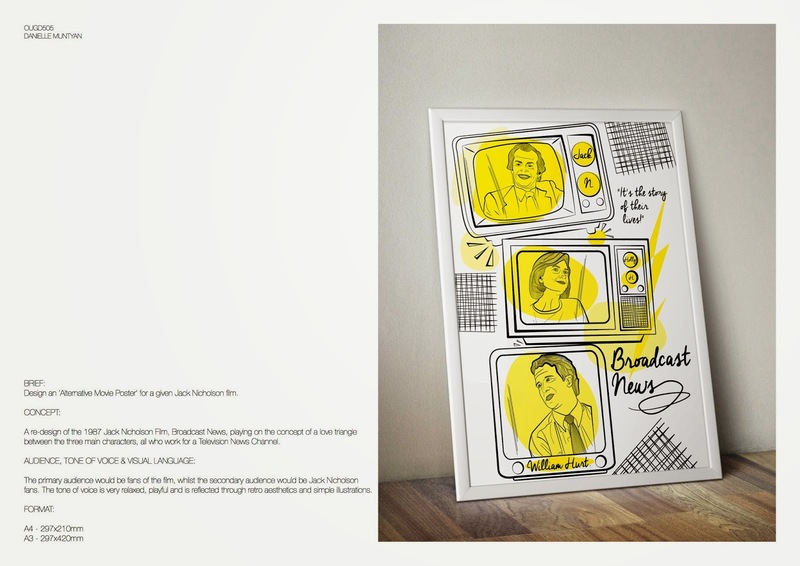 As I have completed MONO to a level where I am happy with the main project, being the branding for a womenswear line. In the future proposals for MONO (these can be seen in the final design boards) I stated that an additional like MONO MAN would be released within the next 5 years. I have time to try and visualise the menswear line,which would make the brand as whole very strong and consistent. I have adapted the logo and design aesthetic to create advertising for the menswear line. I have created this initially and would like to develop and produce a look book also. Product tags and packaging etc, would all remain the same as the womenswear line, however, item numbers would change and additional pages would be need on the MONO website. The MONO logo has been adapted with a tagline - 'MAN' which has been placed below in standard Helvetica. This typeface has been chosen as its manly, robust, structural and clear to read, as well as being in the same type family as Helvetica Neue which is used throughout the branding for the bodycopy. 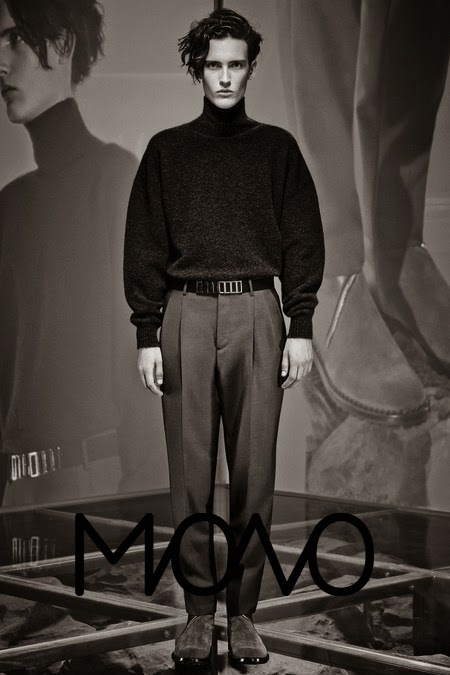 Imagery from the same photographer has been used for the menswear collection to remain consistent. A combination of full colour and monochromatic photography will be used for the advertising and print material with the same principal as the women's - relative to the season at hand. Examples of imagery with the logo applied can be seen below which would be used for print based advertising for example. 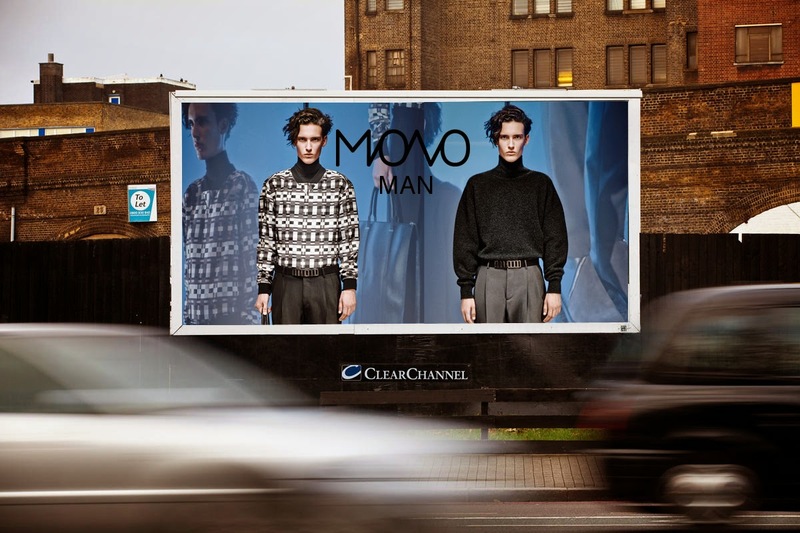 A billboard has been designed to show the upcoming MONO MAN collection. This version shown is in full colour, whilst an alternative with a greyscale image would also be used or considered as an alternative. I feel the billboard has a very strong, dominant and powerful feeling and aesthetic to it, whilst reflecting the brand and it's luxury status and values. 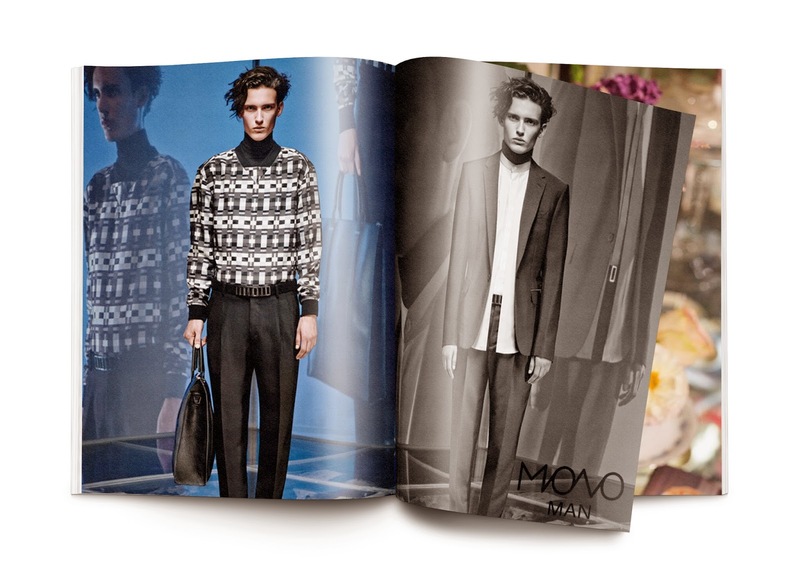 Below shows a magazine advert mock-up showcasing and promoting the MONO MAN collection. The women's advert would be featured in luxury womenswear magazines such as Vogue and Harper's Bazaar, whilst the male adverts would be placed in comparative publications such as GQ magazine.